Learn About Dr. Philip Young's Award Winning Theory and the Advantage it gives our Team! Dr. Philip Young of Bellevue | Seattle is a Rhinoplasty | Rhinoplasty Revision Expert with over 12 years of experience in this field. He is an author of multiple chapters and peer reviewed articles on this and many subjects in Facial Plastic and Reconstructive Surgery. Click here for his chapter on Rhinoplasty and the Management of the Crooked Nose Deformity. Find out why people from all over the world are traveling to see him and the Top Ten Reasons to choose Dr. Philip Young and our Team. Click here to see more Videos on our YouTube Channel "The Beauty Docs". Rhinoplasty is a procedure that entails changing the external and many times the internal shape of your nose. It is the plastic surgery of the nose. Of all the things that can be done to the face, the Rhinoplasty procedure can have one of the biggest impacts on the beauty of your face. Because it is in the center of your face, changing the nose in its appearance can have significant effects on the balance of your face. With Rhinoplasty, these effects on balance and symmetry can markedly improve your facial aesthetics. In Dr. Young’s New Theory on Facial Beauty, he found that the nose was one of the center pieces and shapes of the face. The eyes, nose and mouth are the major shapes within the face. Within the nose, in particular, the nasal tip assumes a very significant distinction as it is one of the major primary Circles of Prominences within the face. The iris and the center of the lower lip are the other primary circles within the eyes and mouth regions. Based on where your primary circles lie, your face will assume symmetry and be in balance or not. It is in balance, when the distance from the iris to the middle part of the face between the eyes is equal to the distance: 1. between the horizontal level of the iris and the nasal tip; 2. from the nasal tip to the center of the lower lip; 3. from the center of the lower lip to the bottom of the chin. Of the eyes, nose and mouth, the most accessible way to change the balance of your face is through changing your nose. The distance between the eyes is set, although it can be changed through radical surgery, most people would not want to go through such risky procedures to change the distance bewteen the eyes. To change the distance betweeen the eyes, it essentially it entails craniofacial / neurosurgical procedures. This is not usually an attractive option. The mouth can be changed to a degree, some of this can be done through oral maxillofacial procedures that involve cutting through your facial bones to set them in a new position. Often times, this requires wiring the jaw shut for weeks at a time. The chin can be changed through procedures that involve chin plastic surgery / chin reshaping and this is feasible just as much as the Rhinoplasty procedure. But because the chin is at the bottom of the face, the impact that changes have here are less significant in contrast to the rhinoplasty procedure. After your intial phone call, we will have a consultation with you where we will disuss the Rhinoplasty procedure and how we will tailor it for you. Through the morphing process we will find out what you like and all about your preferences. Morphing is a process where we will change your picture to give you a glimpse of what you can look like. We will find out what changes you are leaning towards. By doing so we can be an advocate for you during your surgery. During your consultation this will be your first time we will be discussing your desires and your preferences. We will then decide on when you would like your rhinoplasty. Prior to your scheduled date for your procedure, we will set up a preparation appointment 2 weeks prior to your procedure date. At this preparation day for your procedure we will again go through you're morphed pictures and further discuss again your desires and preferences. We will also prepare you for your procedure and do a full assessment of your health in more detail. During this two-week period before your procedure we will, possibly if needed, obtain a medical risk assessment from your primary care doctor and possibly get extra tests to make sure you're ready for your rhinoplasty. On the day of your procedure we will go through everything again including your morphed pictures to hone in on your desires. We will have our Nurse and our Anesthesia Team each further assess and prepare you. After your Rhinoplasty we will see you the next day. Prior to leaving you will have access to all of our contact information so that you can easily get a hold of us. Please call us the night of your Rhinoplasty. The next required appt is 6 days later where we will take out your sutures and take off your splint. In between these days, we may have you come back just to be safe. 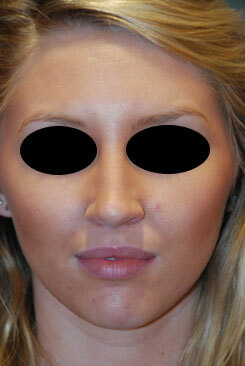 Below is an older video on our Rhinoplasty Procedure and Consultation Process. We are always updating these videos. 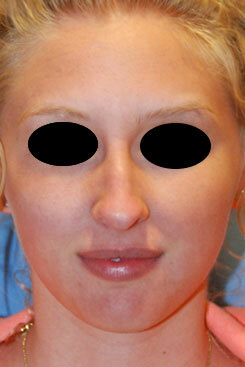 Here is a link to more Rhinoplasty Learning Videos.